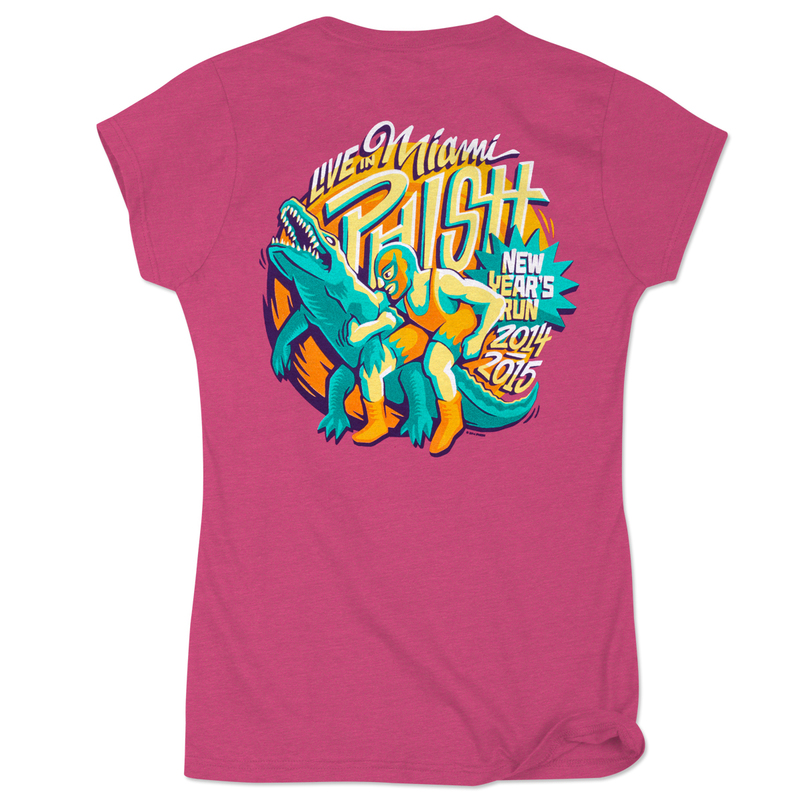 Official Miami New Year’s Run 2014-2015 Event t-shirt printed on a poly-cotton blend t-shirt. Nice material, like the color and design. I have learned that in women's shirts here it is a good idea to order a size larger than what you usually wear. The size runs smaller than you think. The print and colors have lasted well though.